Millions of Ontarians are vulnerable to a nuclear accident because of government negligence, and that includes you. With major nuclear accidents happening about once every decade internationally, you’d think it would be common sense for the Ontario government to plan for worst-case nuclear accidents like Fukushima. It’s easy (and perhaps more comforting) to forget, but over 20 aging nuclear reactors line the shores of the Great Lakes. More than half of Ontarians live near one or more of these, and could be harmed in a nuclear emergency. Worse still, these aging nuclear plants threaten our drinking water. 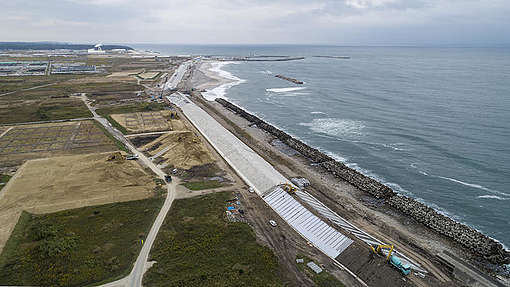 Six years after the Fukushima disaster began, the damaged reactors continue to leak radioactivity into the Pacific Ocean, contaminating aquatic ecosystems and food supplies. A similar accident at a reactor on the Great Lakes could be much worse. Radioactivity could contaminate the drinking water of forty million Canadians and Americans. Despite this, Ontario hasn’t even considered how to protect our drinking water in the event of a nuclear accident. 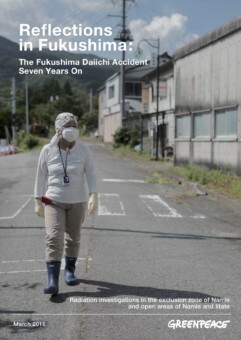 One thing’s clear: Ontario has learned nothing from Fukushima. In response to the substantial human suffering caused by Fukushima, a number of countries have decided to eliminate nuclear risks altogether by closing their nuclear plants. And since Fukushima, more and more communities are pledging to go 100% renewable to fight climate change, empower their communities, and eliminate nuclear risks. But in Ontario, the Wynne government has approved spending billions to keep all of the province’s aging reactors on life support instead of investing in renewables. Worse yet, they’ve done nothing to protect us from the risks these aging reactors pose to Ontario. 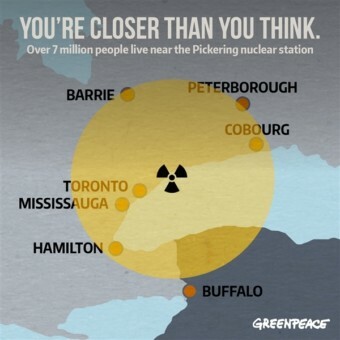 The Wynne government is being not just negligent, but reckless in not planning for major nuclear accidents when half of Ontario lives in the shadow of a nuclear station. Please join us and speak out against nuclear risks across the Great Lakes. 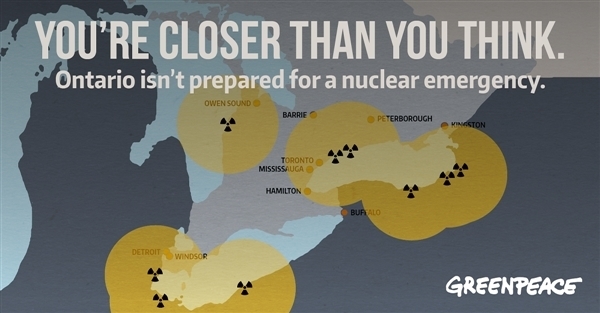 Tell Premier Wynne to protect Ontarians from a Fukushima-scale accident.